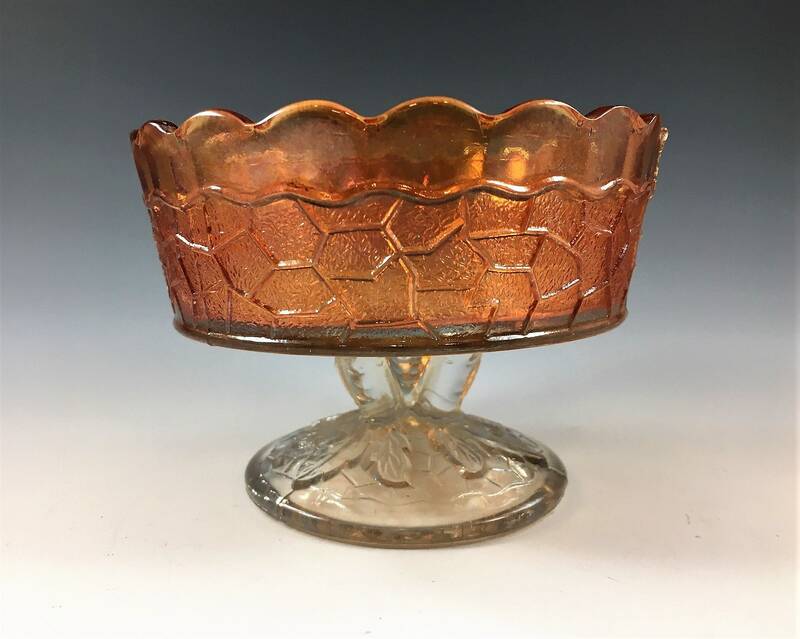 Featured is a wonderful piece of Classic Carnival Glass. 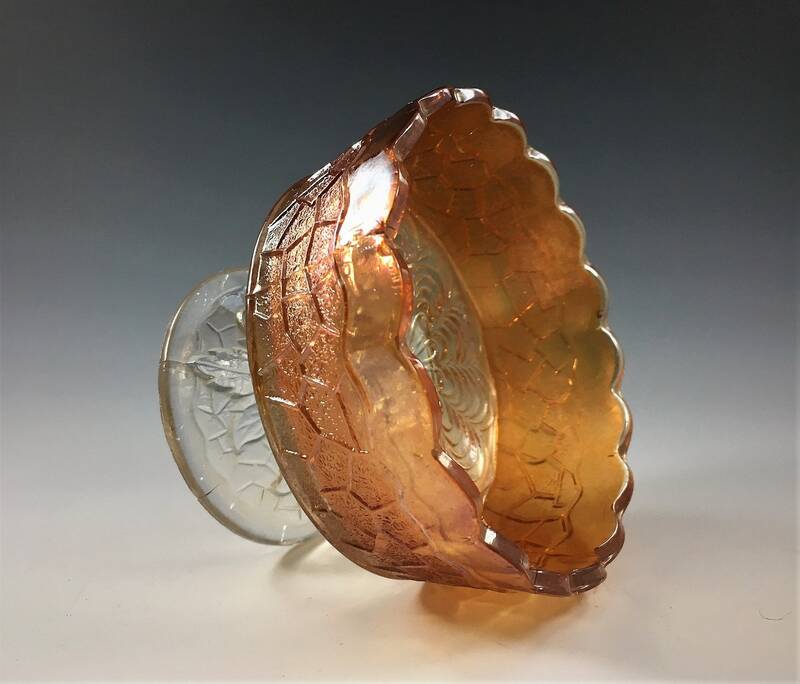 This small berry bowl is by Dugan Glass and is in their "Maple Leaf" Pattern. It has a single pedestal foot of three "branches". The base has a leaf design while the interior of the bowl has "Peacock Tail Feather" design. It measures about 3 inches tall and about 4 inches in diameter. 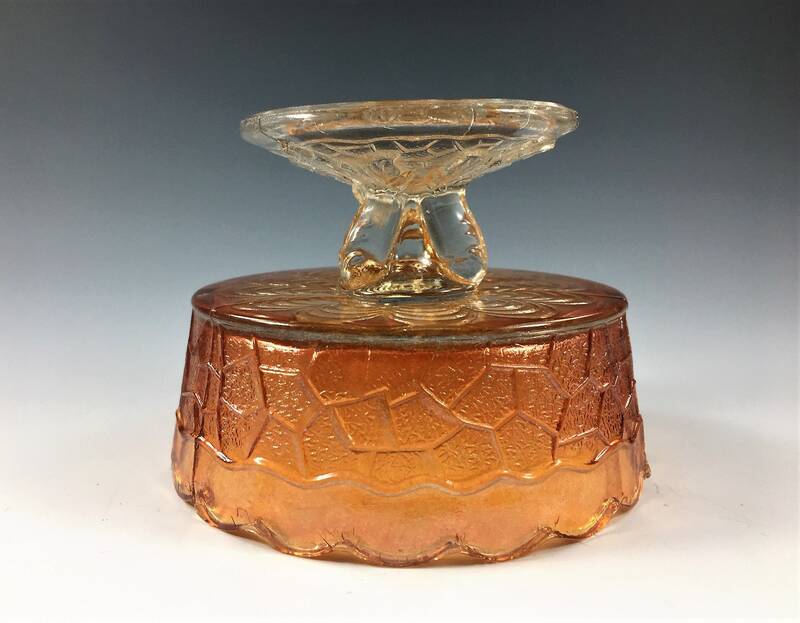 It sits on a round base that's 2 3/4 inches in diameter. 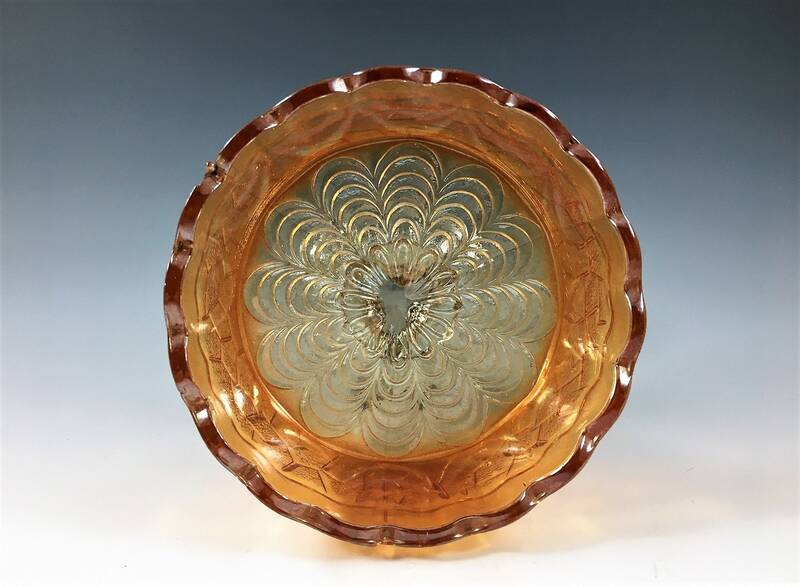 This piece has wonderful iridescence and is in excellent vintage condition, free from any chips or cracks.